As you can see in the chart I posted above, the system experienced a boatload of whipsaws. 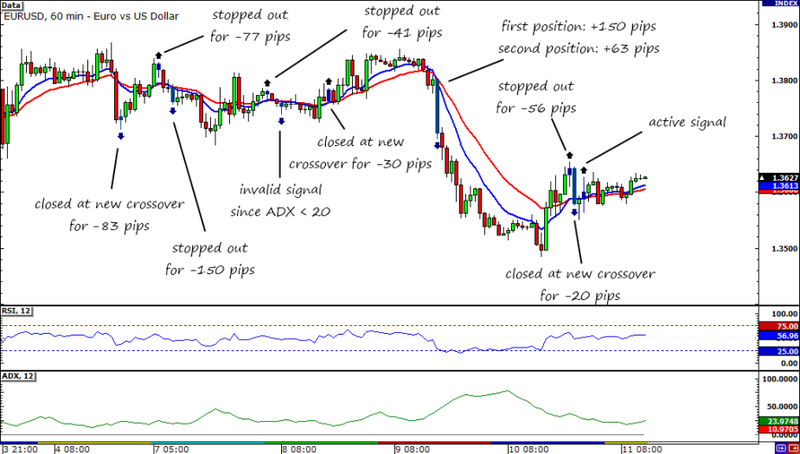 This resulted in a lot of small losing trades, which consequently caused a big hole in my forward-testing demo account. The winning trade didn’t matter as it wasn’t enough to cover the losses. After months of forward-testing, I must say that the HLHB Trend-Catcher System is NOT fulfilling my expectations. It does not filter out the whipsaws and it experienced huge drawdowns. This means that I must make some changes or pick out a completely new system. That being said, I’ve decided to come up with a new system for the 2012. I’m thinking of picking out one of the more popular systems in the Free Forex Trading Systems forum, asking my awesome readers (you guys!) for systems, or coming up with a new one myself. Of course, my new system should be purely mechanical. Please let me know what your thoughts are! 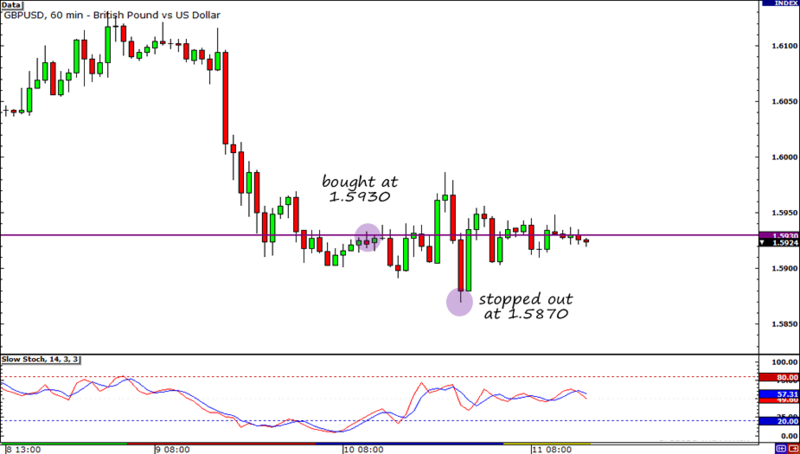 My GBP/USD trade also didn’t play out as well as I hoped it would. After I bought the pair at 1.5930, it just consolidated around the 1.5900 handle. I thought that it would start an upward rally when a bullish candlestick formed, but it didn’t take long for price to slip below support at the major psychological handle again and stop me out. Boo! I was right about the BOE not increasing its asset purchase target during its interest rate decision yesterday. But as it turns out, that wasn’t enough to get the pound bulls rallying. I guess investors are still pretty jittery about the situation in Europe. As Forex Gump has pointed out, with Italian bond yields soaring to 7% (and beyond), the possibility of Italy defaulting has become a real risk. But it seems like the situation is already getting better with Italy having a relatively successful bond auction yesterday. Gosh, I hope I my trading will also get better in the coming week. I feel like I haven’t won a trade in forever! I will need to relax this weekend and get rid of all the negative vibes. But how? Let me know how you guys cope with a bad week in the markets.